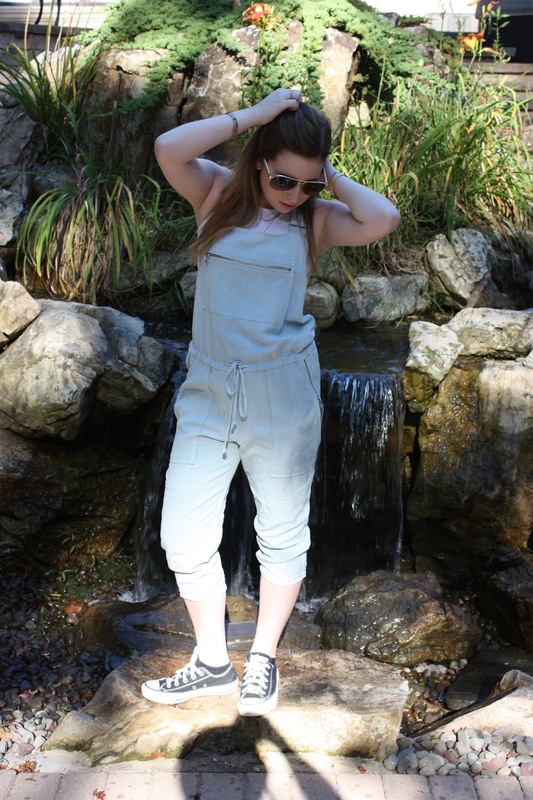 I'm in love with my new overalls! First of all, I love the light wash denim color. Second, I love the fact that they are almost a hybrid jumpsuit/overall. They have the top of an overall, but the cinched waist, and the more tailored pants fit a little more like a jumpsuit. 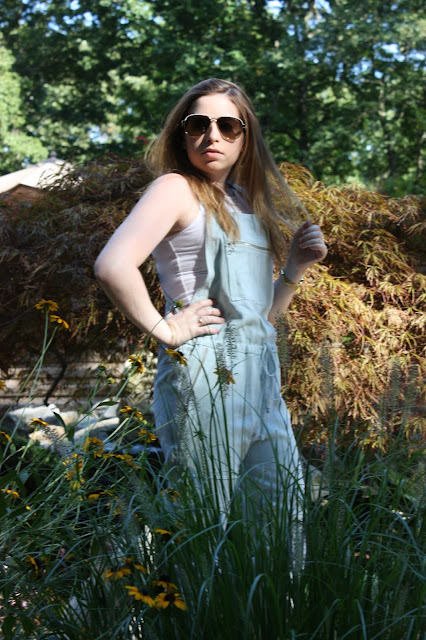 They are perfect, because they are overalls that are super flattering due to the tighter bottom. 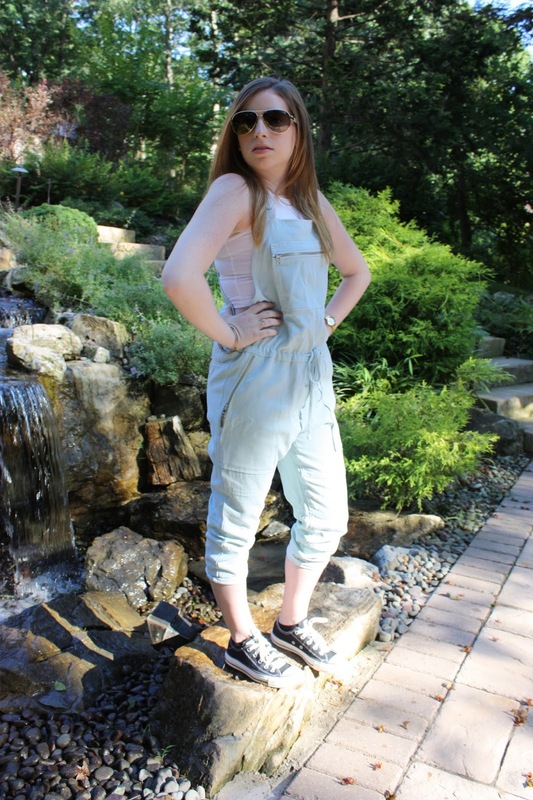 And since the overalls should be the star of the outfit I kept it simple with a white crop top and converse.